I’m away from the usual blog/story/interview here, to drivel on about some memories you may wish to share – or not. 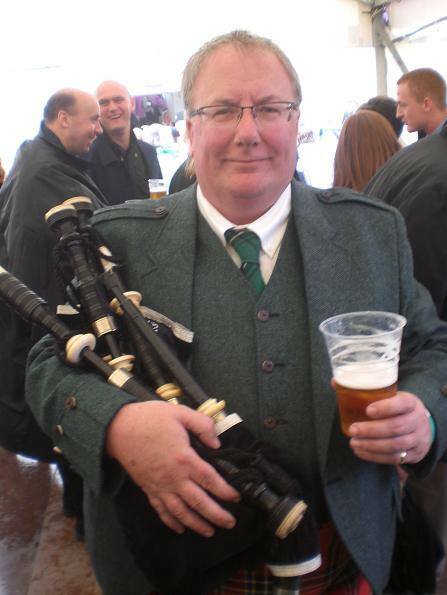 Casting my mind back several years – well many in fact – now and then I hung oot with a Priest, a good Celtic supporter. One day we had got two free tickets to an Old Firm match (Celtic v the Rangers balms), so away we toodled to Glasgow. As you do, we wanted a drink before the game, so off we went to the Saracen Head – Also known as the Sarry Heid – also home to the skull of the last witch to be executed in Scotland, kept in a glass case in the bar. It is also believed that the pub is haunted by, among others, the ghost of a former owner, Angus. Whenever Celtic have a home game, it makes the Sarry Heid ideal with singing, laughter a big screen to watch the match, one of the most famous Celtic bars in the world. Anyhow I digress, Fr Tom and myself got to the doors to be told “ya cannee get away in, were full ta burstin”. Tom fiddled with his white collar, the doormen (a nice term) dropped their mooths open and flung open the doors – “make way fer the father”. Like the partin of the waves in we went, right to the bar, where the owner said “whats it t’be father?” Two pints of Guinness came our way on the house. A good day had by all, bless everyone. I remember the Barras very well, which is a market in Glasgow near the Heid. In the market they sold all kinds of junk, left handed hammers, tartan paint and many fellas selling stuff out of a suitcase, when the police came, they ran. I bought a Deep Purple bootleg record called Purple in Germany, thinking that it was a classic. When I got it home it was disappointing to say the least, it was a Peters and Lee album! I was yappin to a friend the other day and mentioned, as a kid, I had a bike wi no brakes, thereonin we chatted about many things; how we played thunder an lightenin (knock on a door and run like hell), collected empty pop bottles (lemonade) to take back to the shop for the 3d (3 old pennies) deposit. The time mysel’ and pal Colin in Glasgow had a wee bit too much liquid refreshment, ending up wi no money to get home or stay at a guest house. We found two police and wandered along, singin, as you do, to be told “be quiet an git hame”. What do you do? Of course knock their caps off. At that time a policeman couldnee arrest you without a cap on, as he was not in full uniform. Marched away to the nearest dungeon in front of the desk sergeant. Who knew the game exactly, no arrest and given a cell to cool down and sleep it off, wi breakfast in the morning and a few pence to catch a bus. Grand B&B! I first realised that I wanted to be a footballer when I was about ten. I wanted to be Roger Hunt or someone like him, it was good at first, until I had to wear glasses, to be honest, I was terrible so changed my mind, I wanted to be an artist. Living within a large family – many cousins, uncles etc – teaches you one thing; eat quicky. Around the table if you were slow eating, cousins finished off your plate! Too many uncles and older cousins calling in, gave me a strange upbringing, too many opinions and “thoughts to go away with”, you know, how does the man who drives a snowplough get into work in the morning? … when people blow their nose, they always look into their hankies to see what came out. Who found out milk came out of from cows and what was he doing? As we all know, there are two seasons in Scotland: one Saturday in August (summer), and winter. And by the way, no one ever says Och the noo! In Scotland we have haggis neeps and tatties, shortbread and whisky, nickname Jocks, we sing Flower of Scotland and we have ceilidhs. The Irish have Guinness, stories, known as Paddies and sing Fields of Athenrye. English national art is the morris dancing! They cause trouble at football matches, their songs feature nan bread and Indian food, nicknamed fatherless people with a strange dance and swingin on a chariot. In surveys 84% of people in Scotland said they identified themselves as Scottish NOT British, in England, 80% identified themselves as British. One in nine Scots will support whoever England are playing at any sporting occasion. It’s about being able to agree the sound of bagpipes is music to our ears, not casting jokes about the art, aye it is an art form. Jokes such as “why do pipers always walk when playing?” answer; coz a moving target is harder to hit. Aye right. Tell that to the German fella with a gun in the first world war, or preferring Irn Bru to Coca-Cola, or saying “How no?” instead of “Why not?” – “glaikit” is a superior word than “stupid”, “messages” is what my granny told me to get; “groceries or shopping”. I – like many other native-born Scots – are not actually be considered all that Scottish. Of my four grandparents, two were Irish (Kilkenny) and two were Scots (Oban and area). I was baby napped when very young, from Connel near Oban, doon to Liverpool where my parents lived, growing up in a Scottish/Irish house is no easy, specially when yer da dies when you are two years old. It can cause some confusion. So what makes a person Scottish? Or Irish or anything for that matter. Well, no sounding like a Weegie myself, hardly, I claim the right to be Scottish by actually being born here! Even baby napping does not change that. People can become Scottish aye, take footballers for example, born into a saxon family doon sooth, if his granny or grand dad were Scots, he can then play for Scotland. I am proud to call myself a Scot, I know my history, geography and the people, I have a wee smatterin of the Gaelic. I understand and know what Dalriada is. I could have a dual passport if I wanted, Irish/Scot. But – my surname is McLean – from the Clan Maclean of Duart on the wee isle of Mull. My heritage and past is all Scottish. So if you want me to bore you to death with more of this drivel – book a tour and ask for me to be the driver guide!